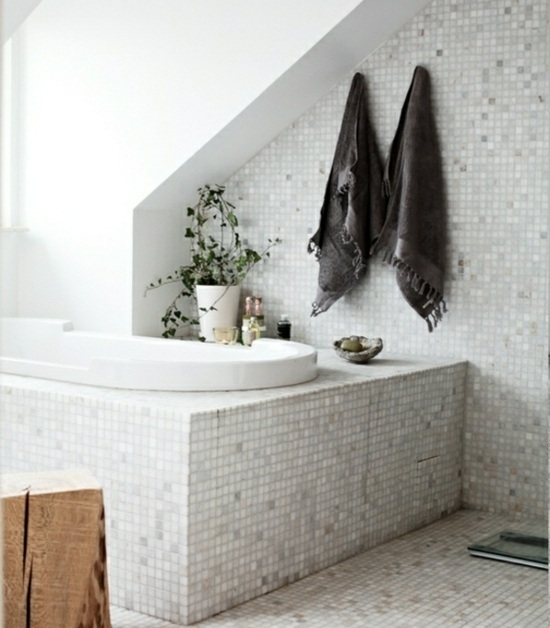 The first step to great bathroom is to find bathroom tiles and make your own design. 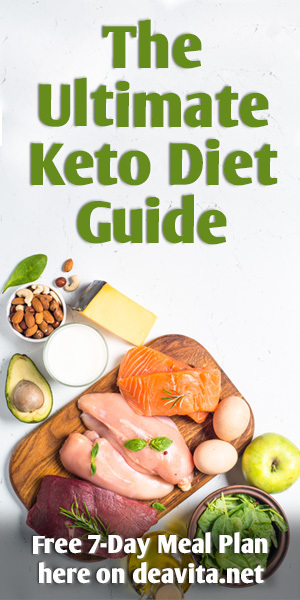 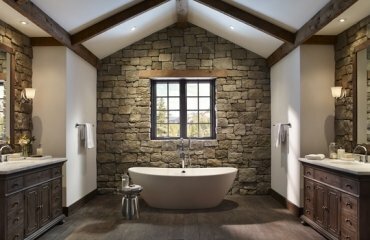 There are some important points that you need to know before you start looking for a perfect design. 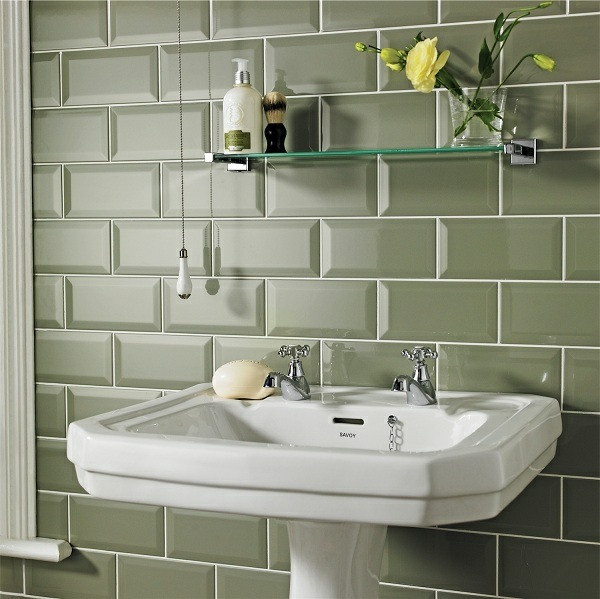 To select the best bathroom tiles, you have to combine them with the appropriate bathroom furniture. 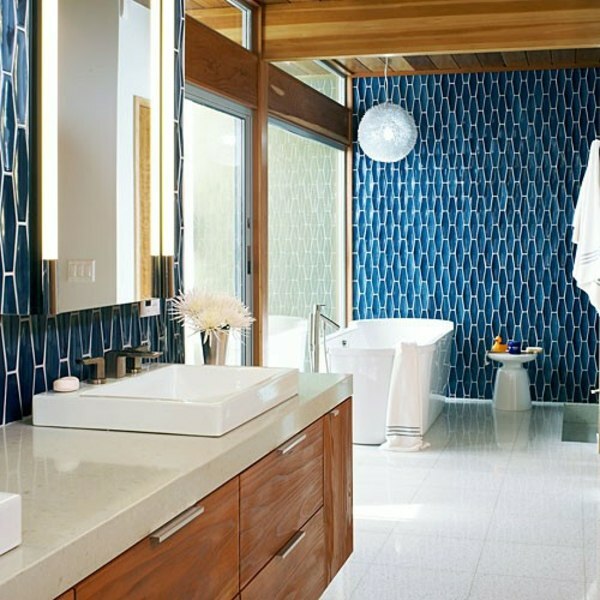 The typical designs and color schemes for small bathrooms are the bright colors. 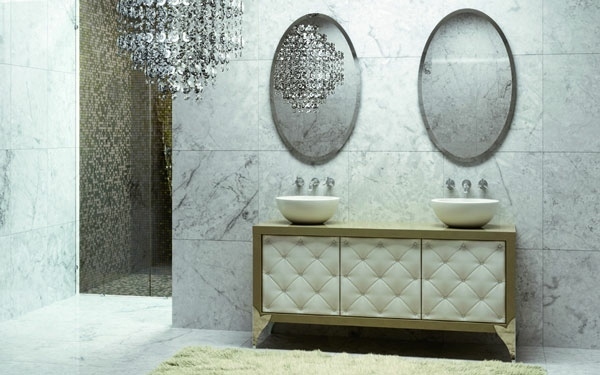 Light gray is currently fashionable, as well as pastel colors and mirror tiles. 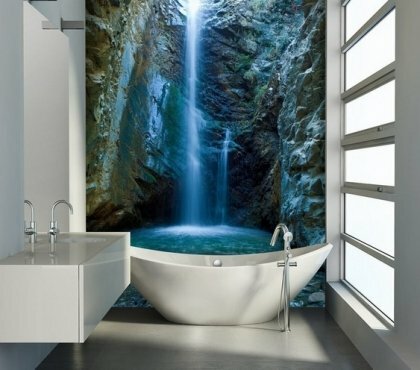 They not only visually enlarge the room, but also that are currently regarded as fresh and modern colors in the interior. 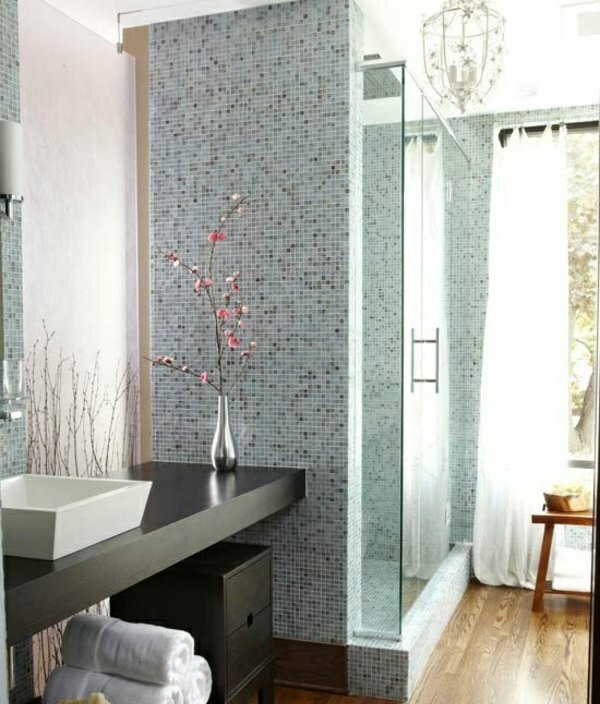 Quite small mosaic tiles in gray with pink or purple reflections can be combined with white orchids. 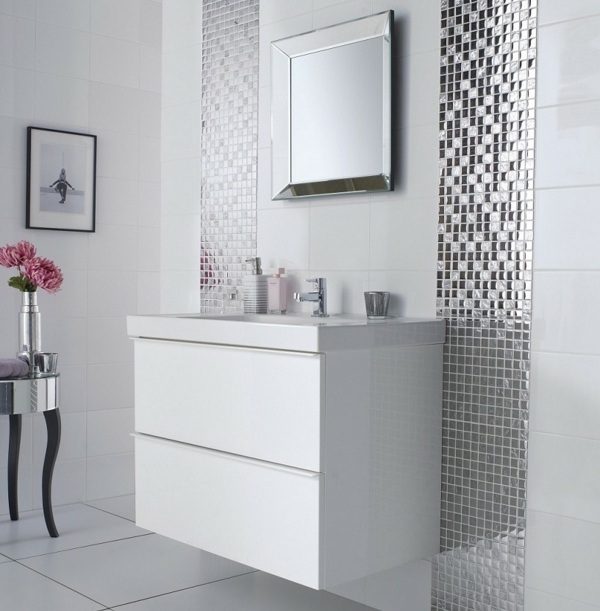 Practical large mirrors and white bathroom furniture can compliment the overall look. 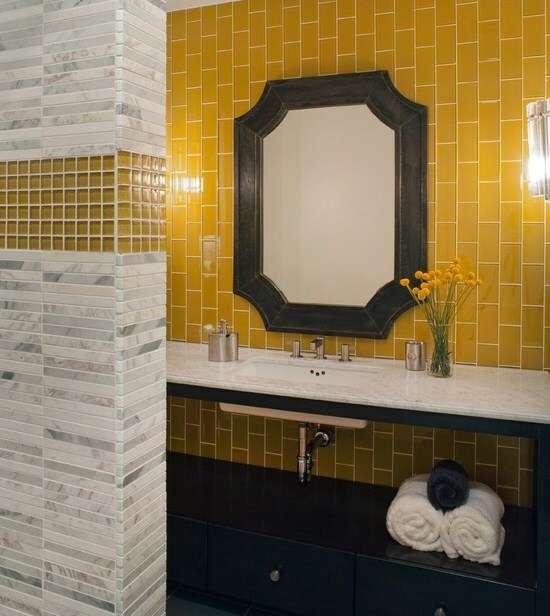 In addition, gray goes very well with yellow, beige and black. 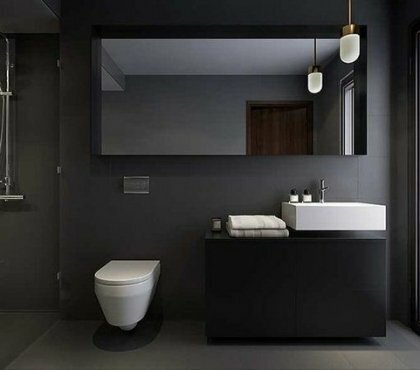 If you have a large bathroom, it has the opposite problem – a homelike setting up in the room will create a cozy atmosphere. 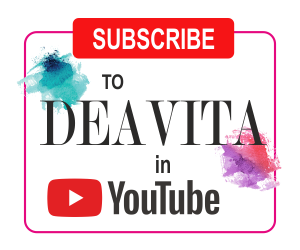 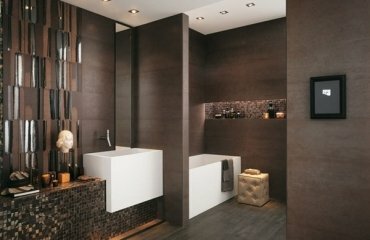 Get modern dark bathroom tiles like purple, dark blue and even black, which, when properly combined with wooden elements or ultra modern minimalist bathroom furniture, create an elegant and functional interior. 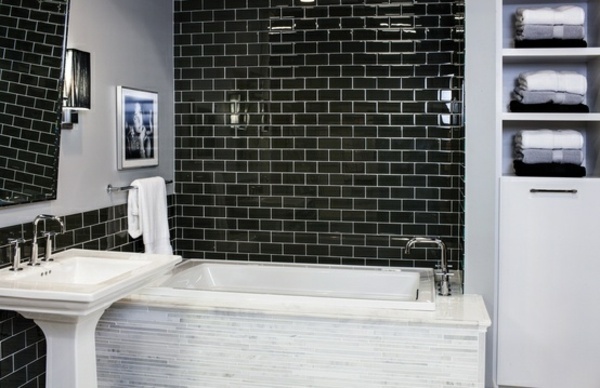 In this case, you can use only one wall as an accent with the dark bathroom tiles and keep the other walls neutral. 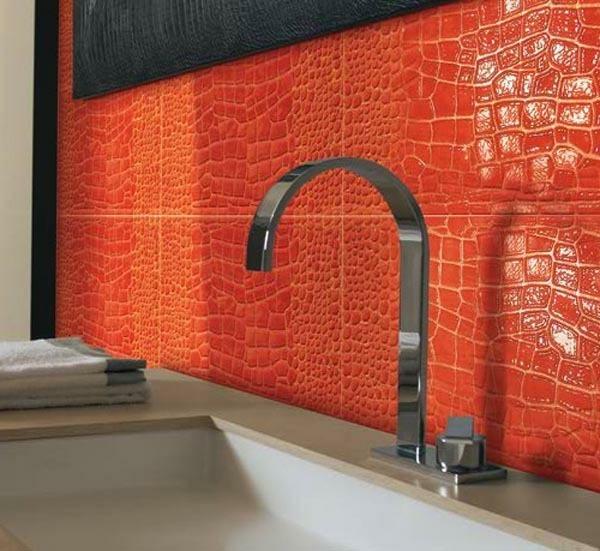 Basically there is a choice between two types of tiles – bathroom tiles with solid color or pattern. 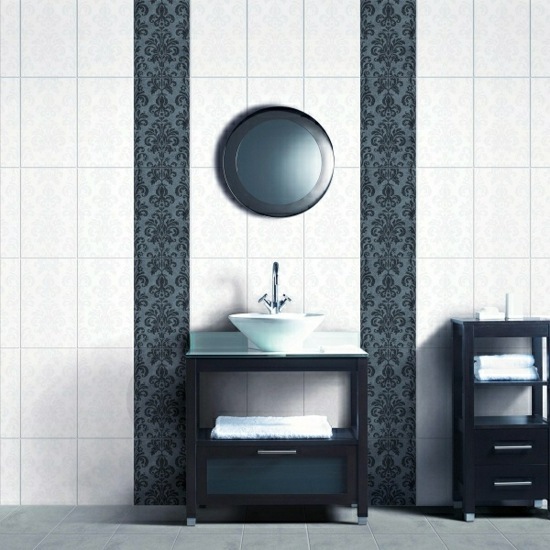 The tiles with patterns are placed as accents. 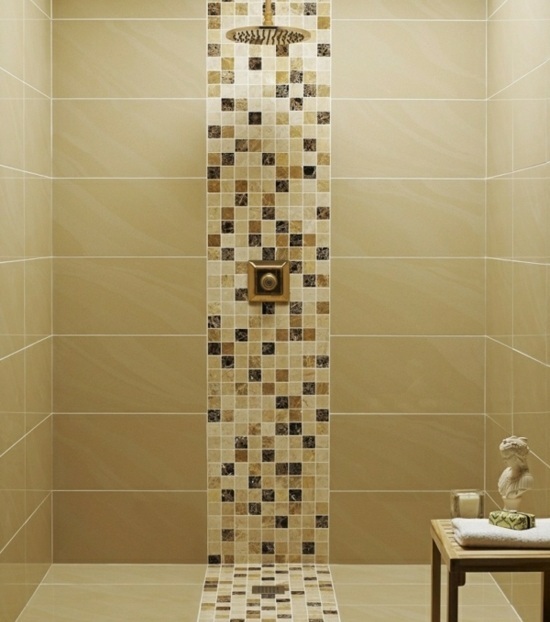 The easiest way is to create a vertical or horizontal row of mosaic tiles. 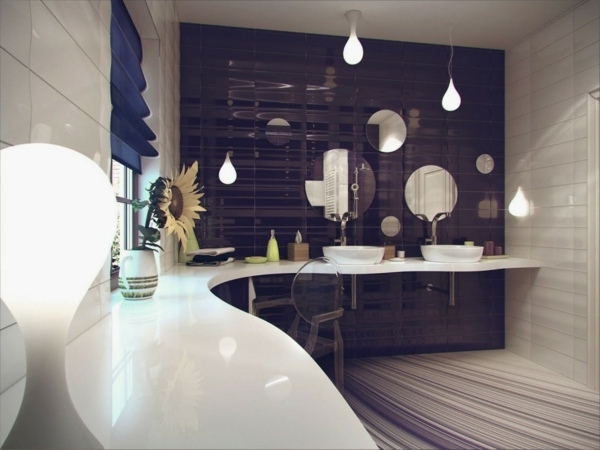 Usually, these tiles are placed on the two sides of sink in the middle of the room. 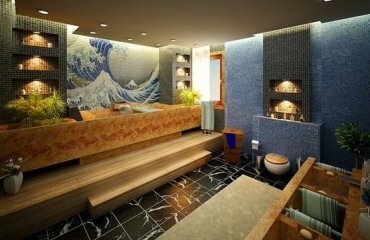 Depending from the bathroom, you can decide on different focus in the design. 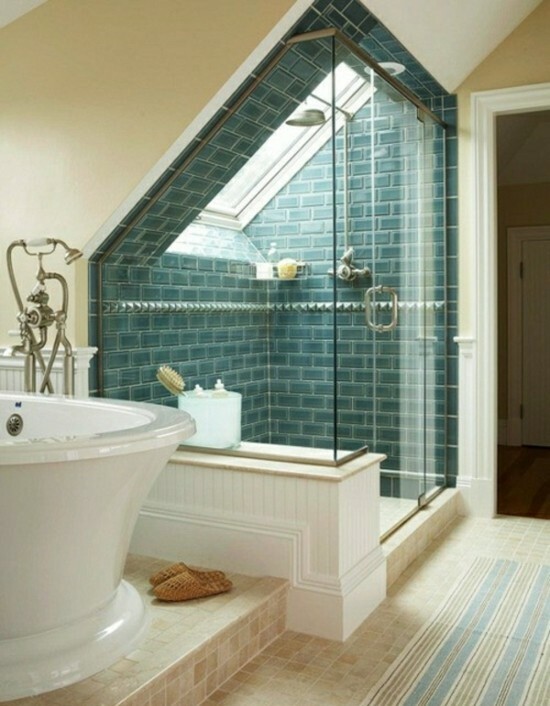 A bathroom with sloping ceiling may look more interesting with dark tiles with patterns, as with white walls. 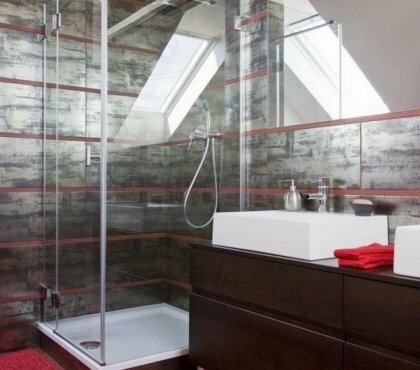 Even behind a free-standing bathtub you can put decorative tiles. 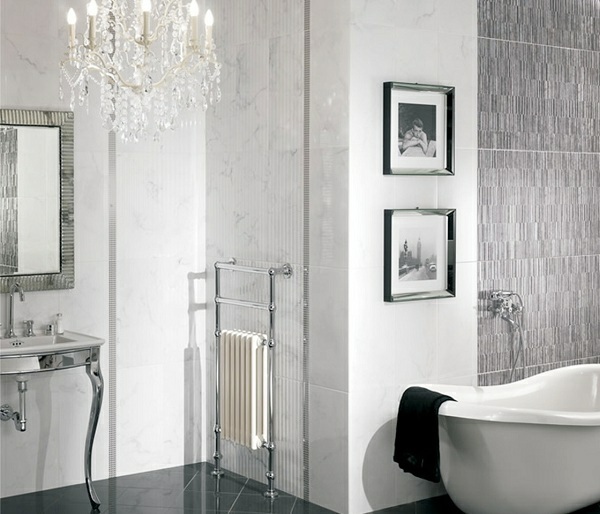 Be inspired by our suggestions and create your own design scheme in the interior!